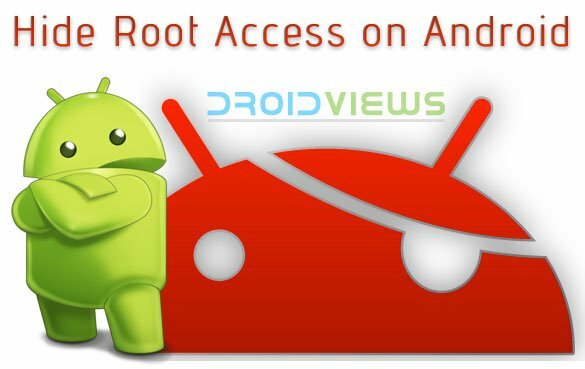 If you own a rooted Android device, and are having problems with using some apps, here’s how to hide root access from apps that detect root on Android. 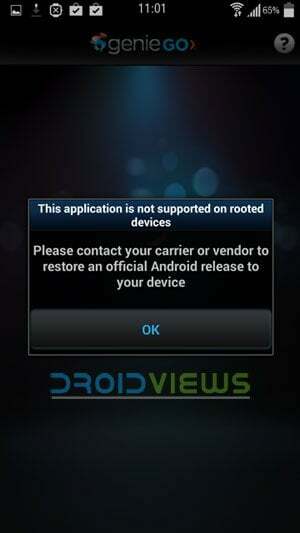 The attitude of Android users regarding rooting their device differ. Many people keep away from rooting their phone or tablet because they are afraid of losing the warranty or bricking it. There is still a big group of users that do not even know about rooting or how it is useful. Then, there are users who cannot go a single day with their device unless it is rooted. Rooting an Android device does put its warranty on a stake and there might be other risks too, but the truth is this— having a rooted Android device is an asset that pays for all risks involved with it. Having rooted your phone, you can tweak it, improve its performance, enjoy better battery life and customize it in many ways with the help of apps and mods. Root privilege is really very useful but it might turn into a liability in certain situations. 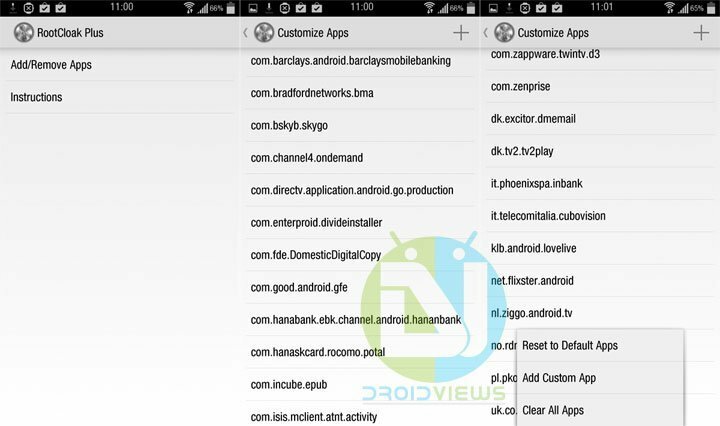 There is a good number of useful apps that refuse to work on your device once they detect root access on the device. Sometimes such apps so vital to a user that he/she might feel forced to unroot the device. Some people go the other way, they keep enabling and disabling SuperUser at times when they have to use an app that disdains root. Disabling root or temporarily unrooting your device are not substantial solutions because doing that prevents all apps from utilizing root access. If you use one or more such apps and have been looking for an easy remedy, RootCloak brings the best of both worlds to you. Both versions of the app have been developed by the same developer devadvance. According to the developer, using RootCloak with Cydia Substrate yields better performance than using it as an Xposed module. Now here is a list of apps with which RootCloak has been tested and found working successfully. If you do not find your app/s listed below, it does not mean that RootCloak will not work for you. Just try it. Install Cydia Substrate on your device. If you phone runs Android 4.4+ ROM, download SELinux Mode Changer and set it to Permissive. Then install RootCloak Plus (Cydia). Having installed RootCloak, reboot your device. Now open the app and select the apps from the list. If you do not see the app you want to target, press the + icon to add it. Open Xposed Installer and tap Framework> Install/Update. Go back and tap Modules and check RootCloak. Then open RootCloak and start using it. If you use apps that trace root access and refuse to work at all, RootCloak can easily solve your problems. Give it a try and do share your experience with us via comments. Cheers! Read next: 10 Things I Hate About Android - By an Android Fanboy! Wow… more crap in the Android “fixes” that fix nothing. Doesn’t work…obviously. I think it’d be easier sometimes to just beat the piss out of the asshats that make apps that won’t work on rooted devices. If you think about it, one of the reasons for rooting is to store the app files on a storage with more than enough room. I could not use the first option because SELinux did not seem to be available anymore. The second approach with Xposed worked well. This was for Worx home and Worx email – my work forced us to stop using exchange activesync, but Worx would not allow me to proceed if rooted. Note: after using Xposed, I could then access Worx-home, but then need to add com.citrix.mail to the list to get mail working too. This saved me a world of pain!! It’s not working for “Bancontact App”… would b awesome if rootcloak would work for this to. It worked for my personal Bank application, but this application allows money transfers between accounts regardless of the bank, pay & receive, simply scan QR code on other cell phone or computer and payment is completed.. Tried it with a Asus TRansformer TF701t with 4.4.4 rooted. I used Cydia Substrate, and root Cloak Plus first. (didn’t see the SELinux Mode Changer), and it didn’t work just spun and spun. Installed SELinux Mode Changer. granted root, and made permissive. And rebooted. Still same issue, even though it looks like it is happy, I never get and video playing. BTW I am using City TV Tablet, version 2.1.1, I have added it to the root cloak plus. .
And it still gets the message saying it is rooted. I tried this for using Good for enterprises app but Good is still not working. FYI, it doesn’t work anymore for Barclays Banking App. There are no solutions at the moment. Hmm, Did you try the Cydia version or the Xposed module? Yes. Check XDA forums; There are no solutions for now for this app. Seems you are talking about the Xposed Module. goodness, this WAS FOR AN OLDER VERSION! Since 2 weeks ago, version 1.8 of Barclays App was out, forcing everyone to upgrade to that version, and this version is NOT WORKING ANYMORE. I’m trying to help here, so please READ the THREAD and you will see that it is NOT WORKING ANYMORE.